YOU WAIT FOR THE FERRY!!! Farm to kayak adventure. 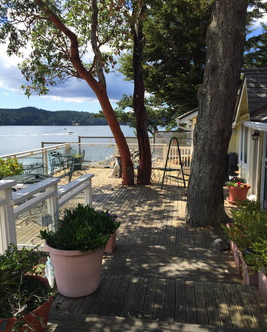 This tour will take you through the heart of the San Juan Islands. Your adventure will start in West Sound. Day 1 - We will either go to Jones Island or Turn, depending on tides and currents. For example, if we go to Jones first, your tour will take you out of West sound paddling to the south. Then turning West and paddling through Pole Pass or Wasp Pass, through the Wasp Islands, which is the Heart of the San Juan's. The tour ends on the South side of Jones Island. Day two - A paddle to the south up San Juan Channel. We may stop in Friday harbor for a cold refreshment and supplies. From there, we end up at Turn Island, a national wildlife preserve. Camp on Turn Island. Day 3 - As a group, we will paddle across San Juan Channel and into Upright Channel, which separates Shaw Island and Lopez Island, then leading into Harney Channel on your way back to West sound. During the tour it is common to see sea birds, harbor seals, osprey, intertidal creatures, and possibly a cetacean. All meals are included, camp gear, kayaks, and the guide. Minimum age is 16 unless it is a custom group tour. 2 person minimum occupancy / 8 person max occupancy.